Sigi Engl joined the U.S. Army during World War II, serving with the 10th Mountain Infantry Division in Italy. After the war Engl returned to Sun Valley to manage the largest ski school in the country with over one hundred fifty instructors on staff. Sigi Engl was born in Kitzbuehel, Austria, a quaint medieval town in the Tyrolian Alps. Sigi learned to ski by watching and imitating the Austrian soldiers training on skis during World War I. His dedication to teaching the sport he loved began when he was in his teens. Since skiing in Switzerland was considered more advanced than in Austria, a group of Swiss skiers were invited to Kitzbuehel by the Austrian government to investigate the possibility of establishing skiing in that country. When they requested a ski guide to show them around the mountains, Sigi was appointed. It turned out that Sigi skied much better than the Swiss and he showed them maneuvers which they were unfamiliar with. This realization convinced him to dedicate his life to teaching. Sigi Engl was planning on becoming a stonemason like his father but his love of skiing took him along a different path. He skied for the Austrian Ski Team and won an impressive string of alpine victories. Engl first came to America in 1936 at the invitation of the management of Yosemite. After two years of teaching there he spent a year scouting the Eastern Sierras for a place to build his resort. In 1939, however, an invitation to teach at the world famous Sun Valley Resort was extended. He became a popular teacher and confirmed his reputation as a racer by winning the Harriman Cup Downhill in 1940 and the Diamond Sun in 1941. During World War II, Sigi joined the United States Army and fought with the 10th Mountain Division in Italy. After the war he returned to Sun Valley, gave up racing and devoted himself to studying the technique of ski teaching. This meant not only learning how to analyze a style and spot a mistake quickly but by finding (by experimentation) the quickest, safest way to teach each step and adapting to changes as they developed. He was a teacher’s teacher. In 1977, he operated the Ski School at Sun Valley with one hundred and fifty instructors, the largest ski school in the country. He was dedicated to teaching beginners and used such modern techniques as short skis and instant replay television. He developed unusual executive ability and the Sun Valley Ski School functioned with split-second efficiency unequaled anywhere in the world. 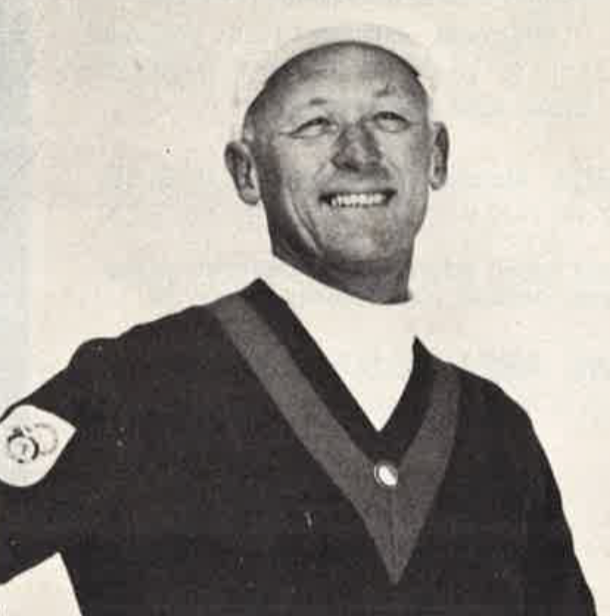 Sigi Engl was elected to the U.S. National Ski Hall of Fame in 1971. If you notice any errors or inconsistencies in Sigi Engl's bio, click here to let us know.